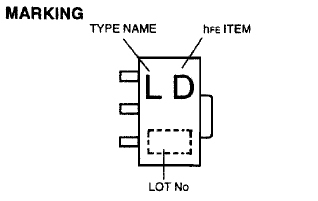 hfe=D,E,F,G 2SA1115 IDC - Micro type package 3 Bipolar PNP transistor for low frequency switching. 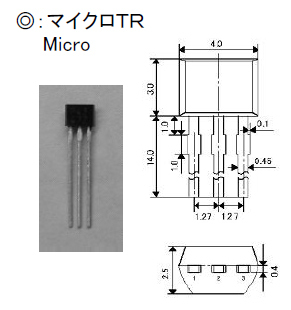 - 3(4) NPN transistor for high current drive amplify application. 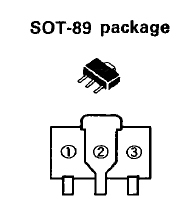 SC-59 SC-59 3 NPN small signal transistor for low frequency amp. - 3(4) Bipolar NPN transistor for high current driver.